Roxy Leblanc has been a mainstay in the Hadley underground for as long as I can remember. She fronted the band Great Smokey, an earnest and groovy psych group that took a few forms between 2009 and 2016, before calling an indefinite hiatus last winter. Since then she has developed and pushed her solo effort, where she goes by the moniker Wocky. 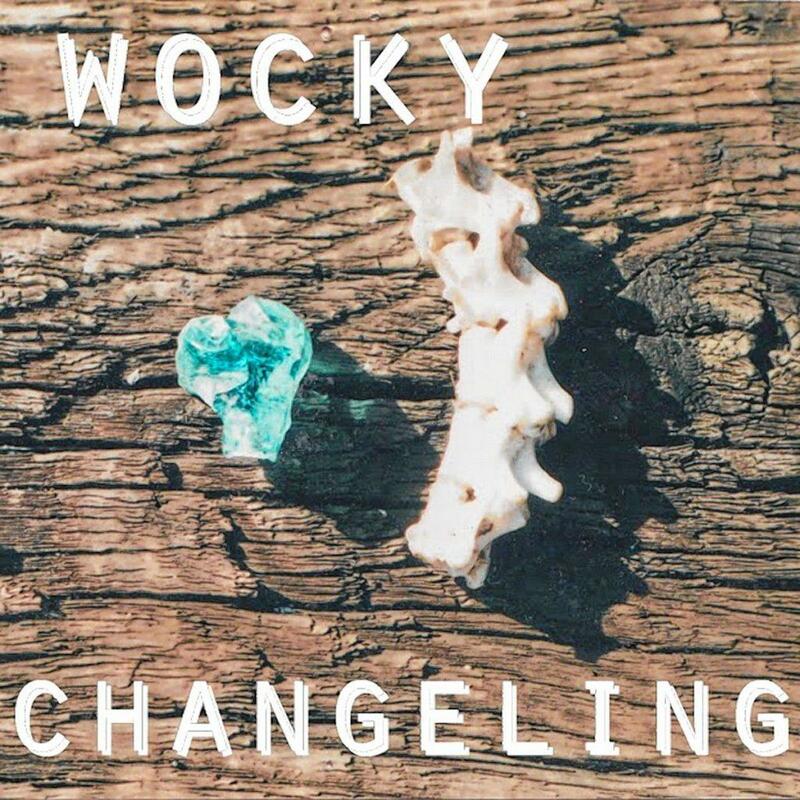 Wocky just released her first full-length, Changeling, following her 2014 debut EP, Sassafrass. But for many of us who know Wocky, this release is bittersweet, as she is getting ready to move to New Orleans this month. By the time you read this, she may be gone. The vibe of the music is both lackadaisical and relaxed, yet also doesn’t waste any time or mince words. An old soul with a fierce voice that demands attention, Wocky and her music can feel timeless, aspiring to fill the big shoes of those that went before, like Neil Young and Janis Joplin. And though much of the record is backed by the force of a rock band — bass, drums, extra guitar, you name it; some played by Wocky and some by her ex-GS-bandmate, Mibble — what carries Changeling is Wocky’s craft as a songwriter. Yes, the songs follow a somewhat common form — a noticeable verse, chorus, verse, chorus, sometimes a bridge. But each song is a terrarium of its own flowing idiosyncrasies that has been organized, arranged, and delivered in a neat little package. That isn’t to say the edges have been smoothed over. Quite the opposite, as Changeling is sharp with them. This form is a container for them: from the sometimes rickety home production to the vulnerabilities of acknowledging an unfulfilling relationship.